RIP 2002 Mk1 Audi TT and 2004 F150 FX4, they’ve been sold and replaced with a single vehicle I can daily drive and get work done. 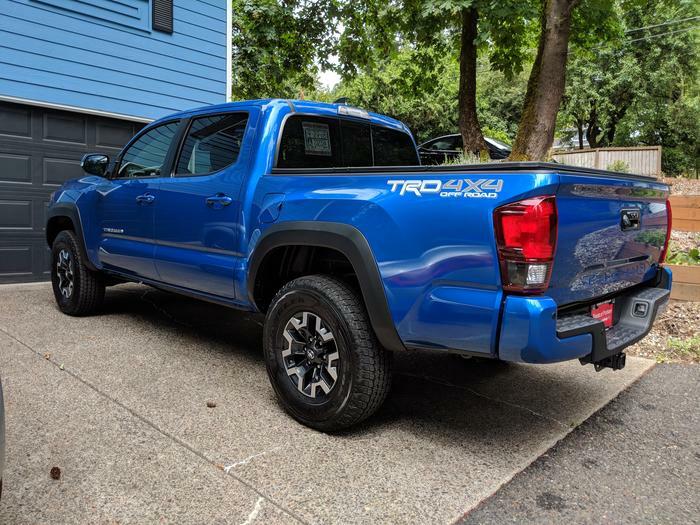 The new ride is a 2018 Toyota Tacoma TRD Offroad edition with a V6 and technology package. AKA - a “Taco”. 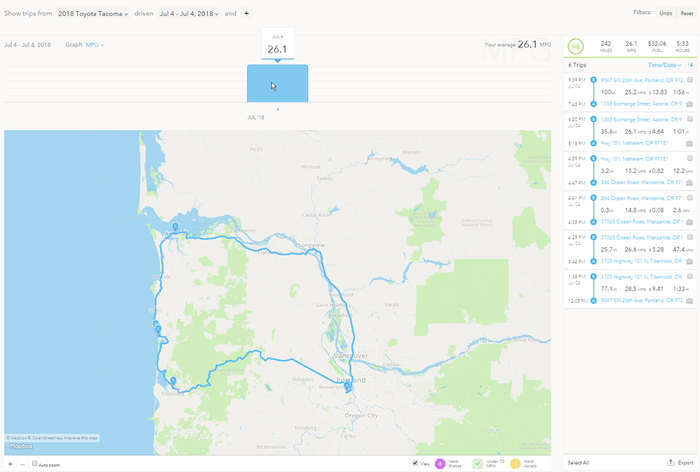 I am a car nut, so the garage is never big enough, and I always like wrenching on cars, but I was ready to downsize the collection and get something more reliable for hauling the Ford Focus RS to track events, camping around Oregon and Washington, hauling parts, motorcycles and similar on occasion. I was looking for something newer, that hadn’t been abused or destroyed, which is always hard in the truck market. After many years of happily owning Fords, I’d decided that the current climate for Ford trucks is too expensive, and complicated. 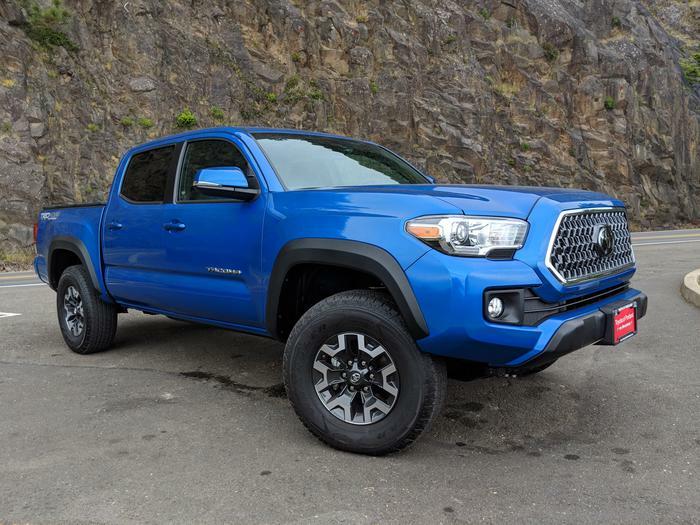 - I’d rather have an honest ‘nice’ truck, and even though this Toyota has some gadgets included like crawl control, it’s nowhere near the complexity of the modern Ford trucks. My initial review is the Tacos are good honest trucks, not completely utilitarian work/fleet trucks, but pretty honest simple vehicles. I tend to like that quality in a truck in a modern era. The after market for the trucks is enormous. Coming from a large V8, the power in the V6 is fine, the I4 is probably insufficient for towing, but decent for in city work. They are comfortable to sit in if you are ‘average’ in dimension, folks with an height of 6 feet tall or taller have commonly disliked the ergonomics, but otherwise it’s a solid good truck. Everything about it is extremely practical, and well engineered. The biggest known flaw is the lower frame is prone to rusting. That’s easy to to counter with some occasional rattle can paint anywhere you see bare metal or rust under the truck every few years. You get Toyota quality and safety features which is a huge plus when heading out camping with the family in the truck. 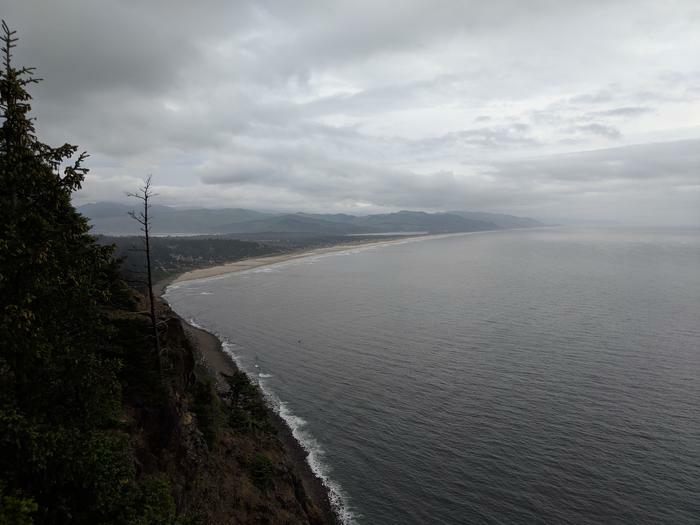 My wife and I took a trip on the 4th of July along the coast as our maiden trip in the truck. It was easy to drive, confident on the road, the adaptive cruise control made cruising extremely enjoyable for the long hauls. I wouldn’t drive the Ford Focus RS that way, but the Taco did a great job comfortably cruising. The internal MPG showed we got nearly 27 MPG, while the Automatic adapter tacked us at 26.1 MPG average and peak of 28.5 MPG over 77 miles. That’s about a 20+ MPG improvement over the Ford, which I am very happy with. We both enjoyed the sights and a great ride.